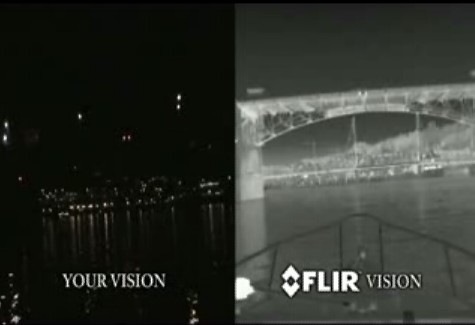 Here is a sample photograph which shows vision through naked eyes and through Flir Thermal Imaging System. 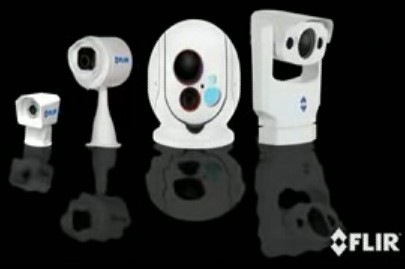 Here is a pdf document that explains Applications of Infrared Imaging Techniques to Marine Surveying. 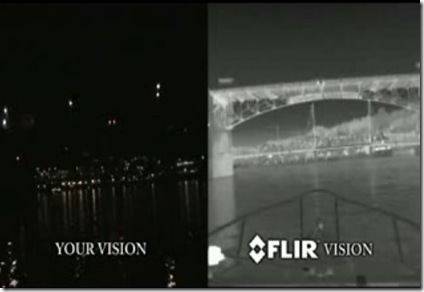 Here is a video clip which explains marine applications of Flir Thermal Imaging System. Mad Mariner says that Flir Thermal Imaging System is an expensive goodie for your boat, no doubt, but if you want to impress everyone from bikini babes to bar flies, this little number will do the trick. Read more from MadMariner.